Admit it. You're looking at this Skull Lanyard and you're thinking to yourself, "Why on Earth would I need this thing?" Well, we're here to tell you. Perhaps you were a metalhead in your youth. Maybe you were scrapping together enough cash to see the latest concert and you never failed to wear a black t-shirt with a skull on it. Maybe this lanyard helps remind you of the good old days of moshing. Maybe you just love Halloween. A lot! 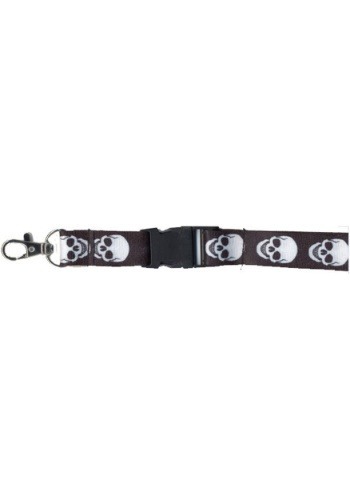 It allows you to express some of the darker imagery that's associated with the holiday and a skull lanyard is completely socially acceptable around that special time of the year. Or maybe, you're just a practical shopper who wants something that's affordable, functional, and easy to use.